The majority of EPP members in the European Parliament, including their President Manfred Weber and all German CDU MEPs, not only vote to trigger the Article 7 procedure to deprive Hungary of its voting rights in the European Council, they also strongly demanded Hungarian Prime Minister Orban and his political party Fidesz were expelled from the EPP. Reading how the European Peoples Party (EPP) is handling the ‘Viktor Orban-trial’ brought this remark about the trustworthiness of the Christian-Democrats back to mind. A minority of the EPP group voted against. Among them all the MEPs of the CSU, the Bavarian partner of Merkel’s CDU. All that is with one exception: the Bavarian Weber. Merkel promised him a few days before the vote that he had a chance to be the next President of the European Commission. And Weber followed the protestant Henri of Navarra, who said ‘Paris faut bien une messe’ (‘Paris is worth a Holy Mass’), when he converted to Catholicism to become King Henri IV of France. 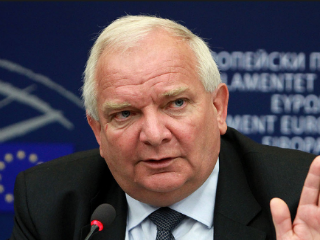 But Uber-chieftain of the EPP, Joseph Daul from Strasbourg, let the world know that Fidesz will stay in the EPP. His argument is ‘the press can’t force me to throw out Viktor Orban’. Absolutely right. The point is, Joseph Daul can count! In May next year there are elections for the European Parliament. In many Member States EPP parties are losing their voters. And as Orban rightly said: ‘Fidesz is the EPP’s most successful party’.